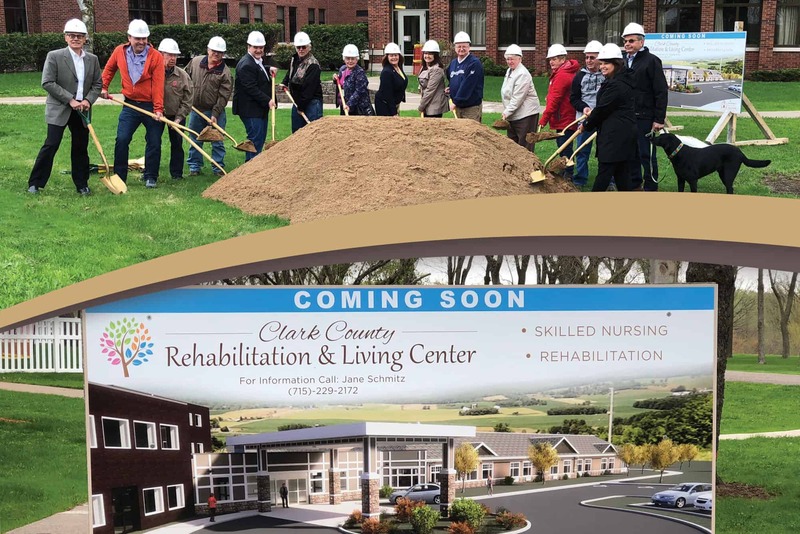 Community Living Solutions and the Clark County Rehabilitation & Living Center in Owen, Wis., kicked off their senior living construction project May 11, 2018, with an official groundbreaking. The facility, which provides rehabilitative, skilled nursing and CBRF care, is expanding on the site of its current campus. The new 23,570-square-foot, single-story addition will directly connect to the existing main entrance. This will require a new main entryway to be developed, which will feature a drive-under canopy to make drop-offs and pick-ups easier, especially during inclement weather. In addition to offering, short-term rehabilitation, assisted living and long-term care, the Clark County Rehabilitation & Living Center also specializes in memory care, geriatric psychiatric care and care for the intellectually disabled. It has served Clark County since 1922. If you are considering expanding your current site or building a new assisted living or long-term facility, please contact Community Living Solutions. Our senior living construction experts take the time to listen to your needs. For a complimentary introductory meeting, call us at 920-969-9344. Ready or not … 2020 is right around the corner and it is brewing a perfect storm for senior living community customer experience. Not only is 2020 the year AARP® estimates an unprecedented 117 million Americans will need health assistance of some kind, it’s also the year Walker Info reports that customer experience will overtake price and product as the key differentiator between brands. Senior living communities can expect increased demand and competition while residents simultaneously mandate landslide changes to your customer experience offerings. Turn these changes into opportunities by incorporating customer experience best practices into your senior living design. But first, what does customer experience look like for your senior living community? Customer experience is a culmination of all interactions a customer has with your community, regardless of channel, throughout the customer lifespan. From the first time a potential resident or their family visits your website or walks through your doors to daily interactions with staff members and every bill they pay, it all adds up to create their total customer experience. Here are five customer experience best practices customized to get senior living communities started. Senior living is a people business, and putting your people first can make a big impact. McKnight’s shared an example of a customer experience supervisor who visited residents to build community while also asking about facility concerns. This personal effort lowered formal complaints and helped residents feel their concerns were heard. Treat residents as respected friends throughout the organization. Train younger team members on generational communication differences so all residents feel respected and cared for. Determine what communication channels residents and family members prefer to use. Whether phone, email, chat, text or face-to-face, find ways to seamlessly incorporate preferred channels into your processes. For example, many family members work full-time and are not available during the day. Make sure there is an after-hours bill pay or questions line they can use. Make sure residents can get an answer with the first person they ask. Train and empower your entire team to find the right answer to any question. Customer experience often draws on interviews, focus groups, satisfaction surveys and other listening tools to learn about opportunities from your customer’s perspective. If you’re not ready to conduct formal research, start documenting interactions with community members and using both positive and negative feedback to better understand your team’s strengths. Collect this data to gain understanding of the most common issues your residents are facing. Solve those issues before going any further, and ask your community for feedback on the new solution. What’s his or her goal? What barriers is he/she encountering? How does the interaction make the customer feel? What questions does he/she have? Opportunities for enhanced customer experience emerge from each customer-community interaction. Your community provides wellness, housing, community, nutrition and medical services, plus so much more. People have needs in each of these areas, and any place there’s a need, you have an opportunity to enhance the customer experience. Draw on technology for innovative ideas to meet needs in each area. Even if your community doesn’t use the latest gadget, care-driven technology may spark ideas for enhancing care in your community. Every customer experience enhancement may not be the end-all-be-all to solving a resident need. Seek feedback from your community and gather new ideas, and repeat the process. Community members will notice the effort and enjoy the process. If some of your customer experience barriers involve limitations with your facility, contact us for a free consultation or call the Community Living Solution team at 920-969-9345. Hogeweyk, a village in the Netherlands made up of seniors living with dementia and their caretakers, was developed in 2009 after a nearly 20-year stint as a traditional nursing home. The concept captures attention in our industry for its innovative approach to caring for people with memory loss. Since Hogeweyk’s inception, other similar villages followed the unique design, both in the United States and abroad. Much of Hogeweyk’s design features a host of activities that focus on individual tastes—a part of what we have now come to know as person-centered care for dementia. If you haven’t heard about Hogeweyk, it’s a village of 23 homes, a grocery store, entertainment venues and parklike spaces. While a resident can shop in the store or even buy a beer at a pub, for those with advanced dementia, the currency they use is fake. But, to them, the experience of living in this village is very real. 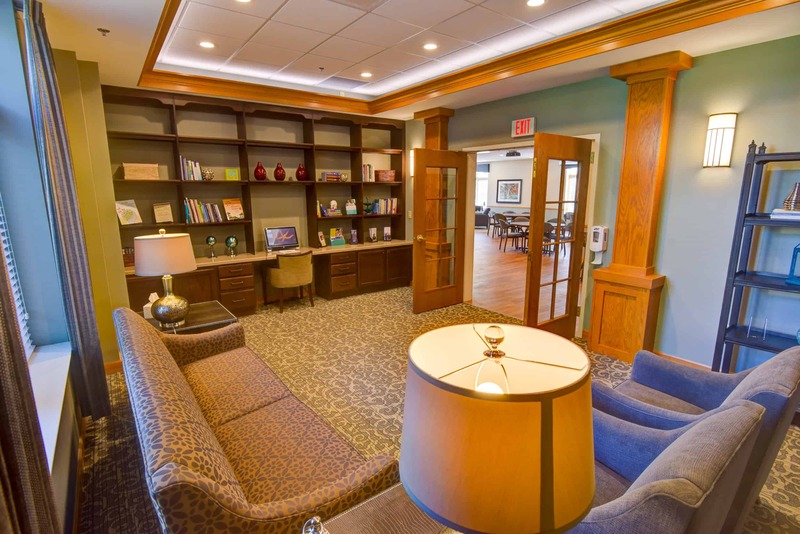 As we reported in our “Memory Care Facility Design” blog last March, as baby boomers age, we can expect a significant uptick in the need for memory care. The industry is already responding, according to the National Investment Center for Seniors Housing and Care (NIC). The NIC says that at the end of 2015, the industry added more than 7,000 memory care units in 2015 alone, a 7.4 percent increase. At the end of 2015, 12,200 memory care units were under construction. It may come as no surprise, then, that those who are preparing for an influx of residents needing memory care look to unique practices for ideas on how to provide the best care to this population. That’s where person-centered care for dementia finds success. Very few in the industry have the financial ability to build a village, but the feeling of inclusion and independence is something that can be replicated. Although more than 150 people live in the village, it remains a great example of person-centered care. 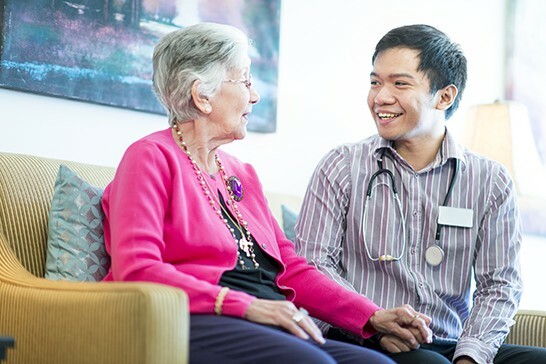 Studies have shown that in person-centered care, dementia patients respond positively to participating in activities they personally enjoy, having a say in their care and living in a homelike environment. A senior living community in Louisville, Ky., learns the life story of residents before they enter care. Residents are paired with a “best friend,” who helps make connections to their life before they entered a senior living community. This same facility uses these life stories to find ways to calm agitated residents. A former lawyer is given a legal brief to read when he becomes upset; a former baker is given flour to work with, as if to make biscuits. Many communities find other ways for residents to participate in activities that were once a big part of their lives. For example, pianists and singers entertain or lead religious service hymns. As you can see, you don’t need to build an entire village to find ways to implement person-centered care for dementia. But, you will need to find ways—inside and outside of your facility—to accommodate residents’ favored activities. Nature lovers will appreciate courtyards and walking trails. Artists may want a quiet, well-lit area to practice their craft. If you are considering remodeling your community to accommodate memory care patients or are thinking about adding a memory care unit to your current facility, give us a call. Our process begins with a master plan that includes a market analysis. For your free consultation, contact Terry McLaughlin at 920-969-9344. 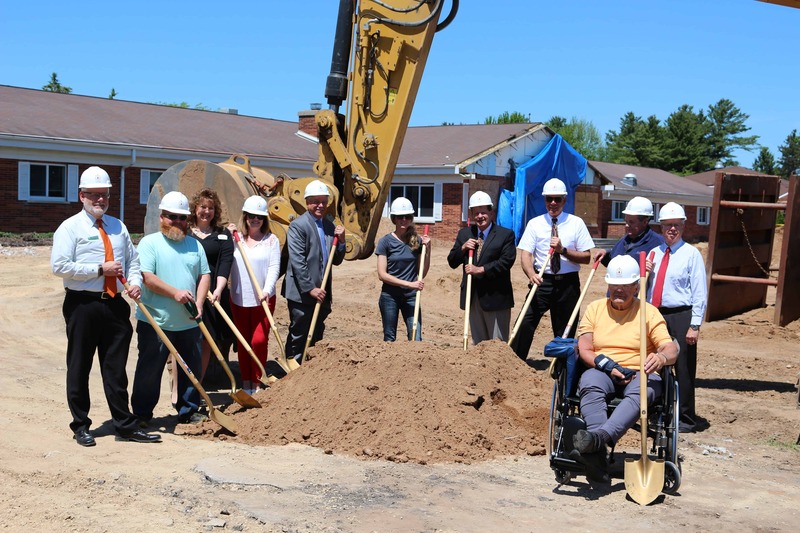 Community Living Solutions broke ground recently on facility updates to St. Joseph Residence, a senior living community that has served the New London area for 50 years. The senior living construction project involves renovating St. Joseph’s skilled nursing facility and adding a new short-term rehabilitation area. A 10-bed short-term rehabilitation addition with a new inpatient/outpatient therapy center. A renovated building wing that houses the rehab area with 20 private rooms. A 30-bed long-term care unit. This unit, with a new addition of six beds and a business strategy to downsize the number of licensed beds, will allow the majority of residents to have private rooms. A 6-bed CBRF assisted living memory care addition. This addition, coupled with 18 beds in a renovated area of the existing building, will result in a 24-bed memory care assisted living facility. This allows St. Joseph to meet an unfilled need for dementia and Alzheimer’s care in the community. In designing the facility, CLS’ goal was to provide residents with a home-like, family atmosphere that would enhance their quality of life. Construction is expected to be completed in June 2018. Are you planning a building renovation or addition? If you are considering a senior living construction project, such as a building expansion, renovation or campus repositioning, we can help you with every step, include master planning and architectural design. Contact us today for a complimentary consultation.